How To Start A Content Marketing Plan | BMT Micro, Inc. Creating marketing content can be overwhelming, even intimidating, no matter how much experience you have. Trends are constantly changing, and the Content Marketing Institute reported that 70% of B2B marketers were creating more content in 2017 than the previous year, meaning there is more competition than ever. A content marketing plan can help you create relevant content in a timely manner that your audience will respond to, and give you a leg up on your competition by creating fresh ideas. 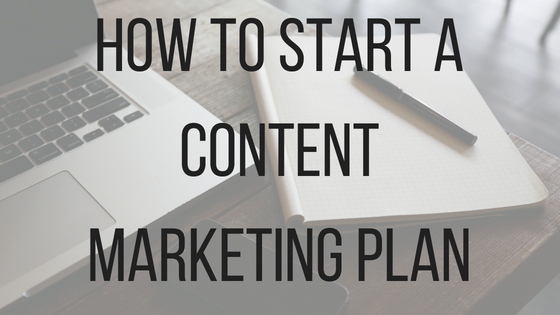 Here are some steps to help you get that content marketing plan started, or refresh a plan you already have. What is a Content Marketing Plan? A content marketing plan, sometimes referred to as a content strategy, is a plan to help you develop the best possible content for your business and audience. This includes the development of all media that you create- written, visual, downloadable, etc. Before you start creating or updating your strategy, ask yourself several questions. First, who is your target audience? Is it broad or narrow? Figure out who you are making your content for, and that will help you narrow down on what channels to focus, as well as the tone of your posts. Next, figure out what problem you are going to solve for your customers. 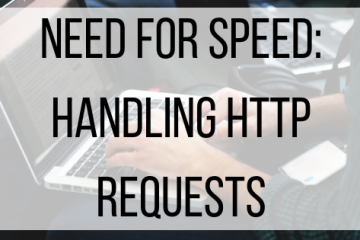 More than likely, you are offering a product or service that fills a need they have. Articulate why your solution is the best option for their problem. How will your company stand out? What makes you unique? Every company has something special about them, so make sure your let your audience know what it is about you that makes you different from your competitors. Last, establish a timeline for your posts so your audience knows when they can expect content from you. For example, BMT Micro publishes a blog every Friday, and posts content on other outlets throughout the week. Set a goal: Before you start creating content, make sure you have a clear goal in mind. What do you hope to accomplish? Make sure your goals are SMART: Specific, Measurable, Attainable, Relevant, and Time-Bound. Think about your aim for your content and what you hope to get from it. You could aim to gain a certain number of followers in a certain time period, or to post a motivational quote once a week. Whatever your goal, make sure to measure it to see how your audience is responding, and adjust your content as needed. Conduct research: Creating a buyer persona is a great first step to creating content. This will help you find the type of people that you are looking to target, and give you an idea of where you should focus your marketing efforts. Once your company grows and develops, you can re-asses your target audience and create new buyer personas, or add more to expand your reach. Researching your competition is another good step to take. See what your competitors are doing, and what kinds of campaigns are working for them. While you want to come up with your own original work that sets you apart, keeping an eye on the competition can give you an idea of what mediums your audience is responding to, as well as what channels they are most active on and how frequently they post. See what mistakes they have already made and learned from, so you don’t make the same ones and you can stay a step ahead. Brainstorm: Coming up with new topics can be challenging. Try keeping a list of things relevant to your company for when you are stuck on new content ideas. If you keep a company blog and see an interesting topic, make note of it for a future blog post. If you run your company’s Instagram page and see new ideas that inspire you, create a folder to save them. Decide what kind of content and themes you want to create, but do not be afraid to branch out if you have a creative new idea. Even shaking up social media accounts in small ways, such as posting a video instead of a picture or adding an info-graphic into a post, can be eye catching to your audience and help keep content fresh. You want to have some consistency in your color scheme and what days you post, but switching up smaller things helps prevent monotony. While creating a content marketing plan sounds overwhelming, when you break it down into the steps above it is very attainable. Having a plan, and keeping a calendar with reminders, will help you stay organized and produce more quality content. Although there are a lot of little steps involved, content marketing is all about creativity and letting your brand image shine through to showcase your unique qualities. If you need a safe and secure payment processor to help you process all of your sales, contact vendors@bmtmicro.com for information.